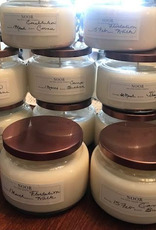 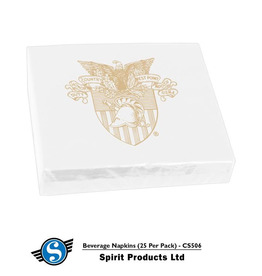 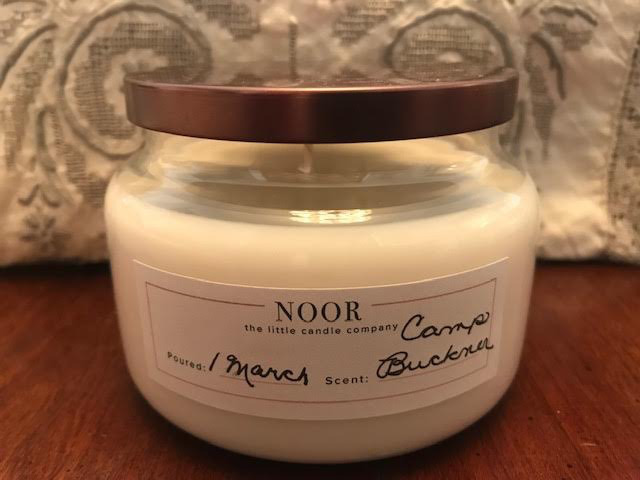 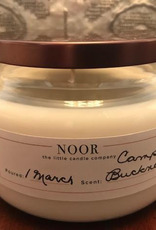 “Camp Buckner” Hand-Poured Candle (Noor Candle Company) 8 ounce. 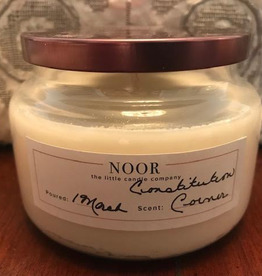 Fragrance Notes: This is the perfect forest scent with mild citrus top notes, earthy undercurrents, and a woody, balsam core that makes you feel like its Christmas morning. 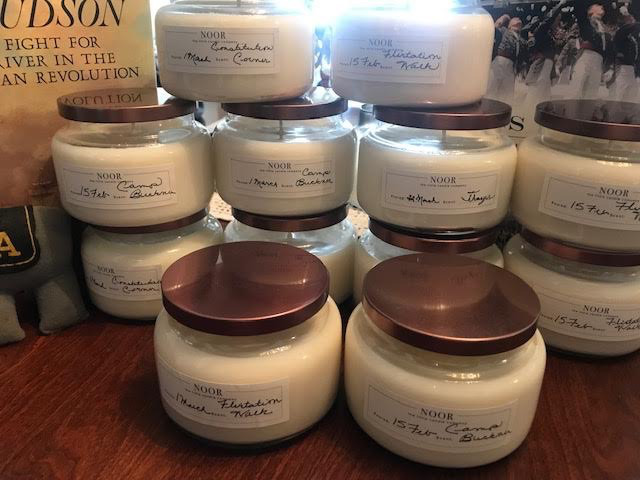 Burn Time: 8 oz jar: 50-60 hours.